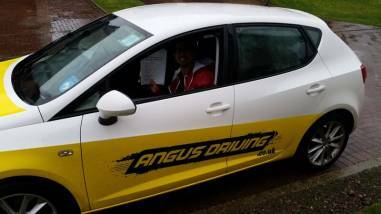 I launched Angus Driving in March 2014 and over the last year and a bit I have managed to become an established Edinburgh driving school offering driving lessons on the southside of Edinburgh and surrounding areas. 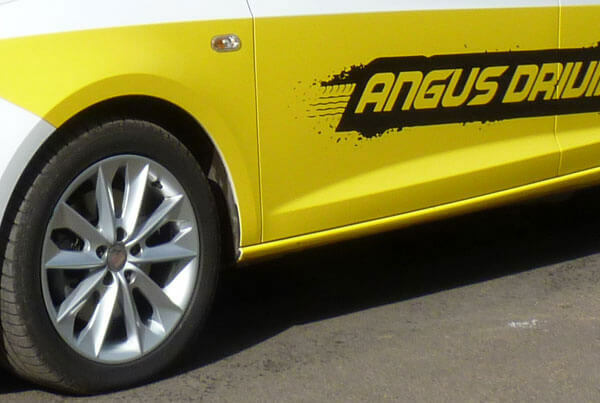 What Makes Angus Driving Unique? I aim to make driving fun, whilst still maintaining professional instruction during every lesson. I am very aware that not every pupil responds to the same method of teaching; so I adapt and tailor a lesson plan to find the most efficient and effective method for each individual, ensuring that learning progresses rapidly. 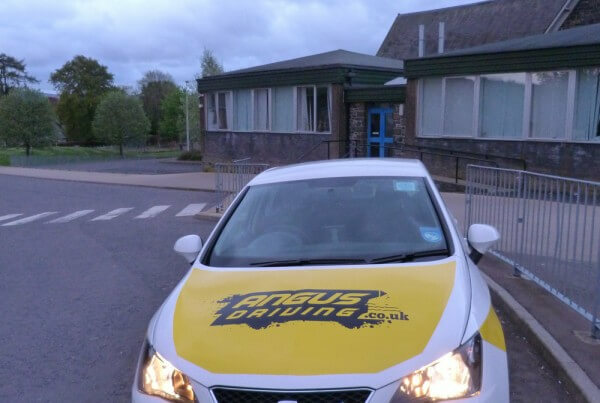 In 2010 I began driving instructor training with the AA driving school in Edinburg. After fully qualifying as a driving instructor I worked with the AA for my first 3 years and a bit. Constantly thinking about the techniques I was using to teach people to drive, and the content that I was delivering in my driving lessons I was always developing my methods. I have been a driving instructor for 5 years and can honestly say I love my job. Learning to drive can change your life forever, giving you a sense of freedom, independence and a valuable qualification to add to your skill-set. This is why I love my job helping people pass their tests. Through this time I feel that I have streamlined a very progressive way of learning to drive which can be adapted to any speed of learning ability. Having worked in jobs which involved driving around Edinburgh in the past I feel my street knowledge of Edinburgh is very strong so will be able to come up with a plan during driving lessons which will mean that you will get the most out of your area no matter where you live in Edinburgh. 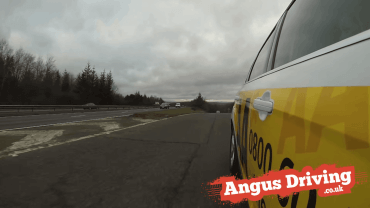 After having a great time in the AA I decided it was time to take the step of creating my own Edinburgh driving school and have the excitement of trying to become recognized alongside some very established driving schools Edinburgh has to offer. One year in and I can confidently say that it has been fantastic, with the highest driving test pass rate I have ever achieved over the last year, and meeting some many fun and interesting people along the way. I am a fully qualified driving instructor which means i have passed every instructing exam the DVSA have. Some driving instructors are trainee and have a pink triangle badge which means they are yet to sit probably the most important driving exam which is looking at instructor ability.Being an independent driving school a lot of the work I get is through recommendation so delivering the highest level of driving tuition is what I aim to do. I don’t think I will ever get sick of the feeling when somebody passes first time and get complimented from the driving examiner. 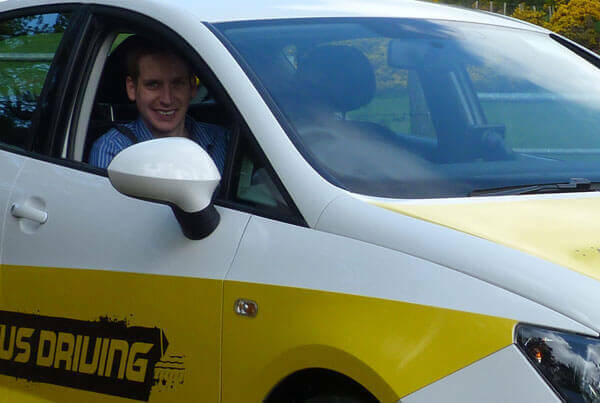 I currently offer driving lessons on the the south side of Edinburgh and surrounding areas which include. Penicuik, West Linton, Nine Mile Burn, Bilston, Roslin, Loanhead, Colinton, Currie, Wester Hailes, Peebles, Morningside, Marchmont, Oxgangs, Bush, Swanston, Sighthill, Longstone, Craiglockhart, Buckstone, Merchiston, Polwarth, Bruntsfield if you are unsure please get in touch and hopefully together we can get you on the road soon. I use GoPro cameras to film some of the driving videos and try to explain everything that is going on during the drive. 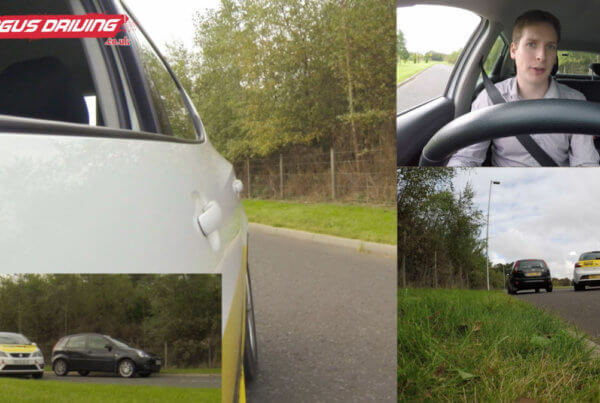 Recently I invested in a Black Vue camera for my instructor car, with this it constantly is recording the road ahead and I can instantly replay driving incidents to anyone during driving lessons. 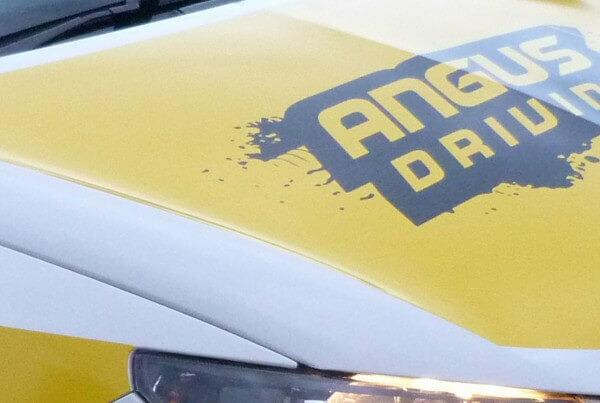 Already in the first month of using it I have managed to explain and solve problems to so many people instantly which has proved to be an essential piece of kit for driving instructors. I think it is all about keeping up with technology as constant development of teaching aids and techniques is essential. Learning to drive is a multi tasking skill and if you have had one driving lesson you will know that a lot of things seem strange at first. It can vary so much as to how long it is going to take to master I have had people learn in 11 hours with only driving lessons and no private practice and I have had some people take a lot longer. As long as you feel that you are making progress and are happy thats the main thing. 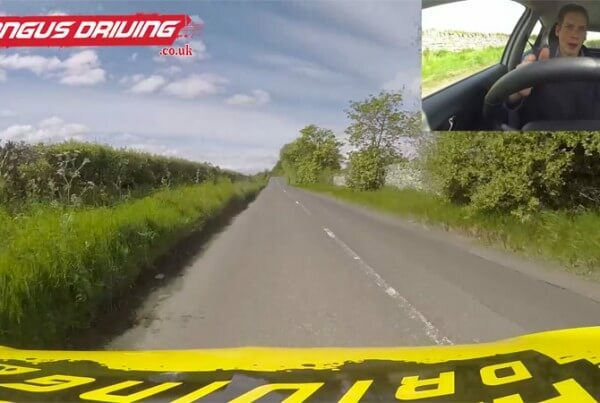 In the video I drive the route discussing common mistakes people make and things to look out for, by watching this video, it should prepare you for exactly what to expect on the day of your driving test! 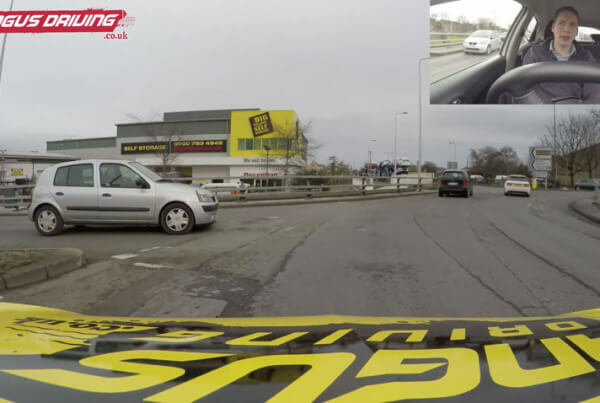 This video was filmed to give a basic guide to entering junctions left and right turns. We look at every little detail, and possible driving faults to avoid. Guide on how to how to join the Edinburgh City Bypass, this video briefly explains what to expect when joining, how to go about it and shows an example. This video was filmed to give a basic guide to roundabouts, it covers turning left at a roundabout, following the road ahead at a roundabout and turning right at a roundabout. 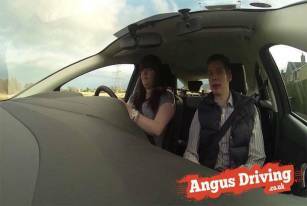 We look at every little detail and possible driving faults to avoid. 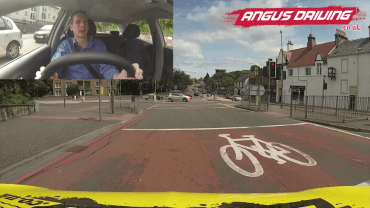 This video is a detailed look at the roundabouts on Calder Road in Edinburgh. Driving from Currie down towards the city centre of Edinburgh. Looking at which lanes would be use and how to go about it. I like to think that I am enthusiastic and can remember what it was like to learn to drive myself. I was so excited about learning but my driving instructor seemed to drain all the fun out of the driving lessons. I like to keep driving lessons moving and feel you can only look at a book for so long and the fastest way to learn is by making mistake and understanding what wasn’t correct and how to fix it. 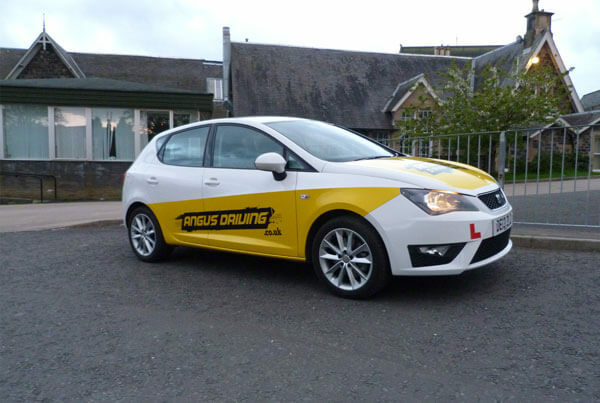 During driving lessons we will be using a dual controlled car and the area selected will match your current driving ability so you will not be put at risk with any mistake that you make and I will be able to help you with my controls if required. I wont stop to smoke or stop the driving lesson to take a phone call when we are out its your time and you will have my full attention. The videos which you will find in the video section of my website is under constant development I have filmed in Edinburgh and Peebles trying to cover the areas which people make well known errors. 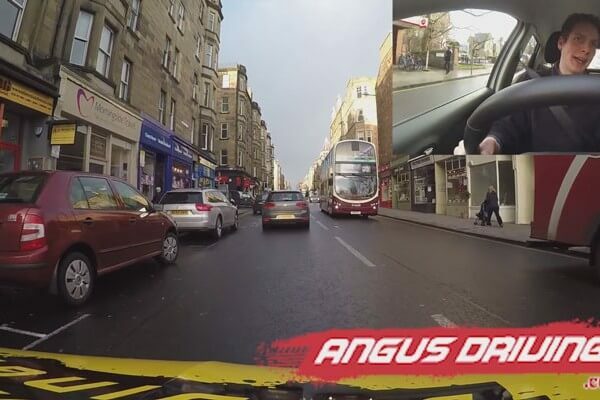 If you have been doing driving lessons in Peebles or Edinburgh with me then we will have through time covered everything shown in the driving videos during our driving lessons. The videos should aid, speed up and consolidate your learning so we can progress quickly.